It's once again time to bake holiday cookies. I love baking cookies - and eating them. 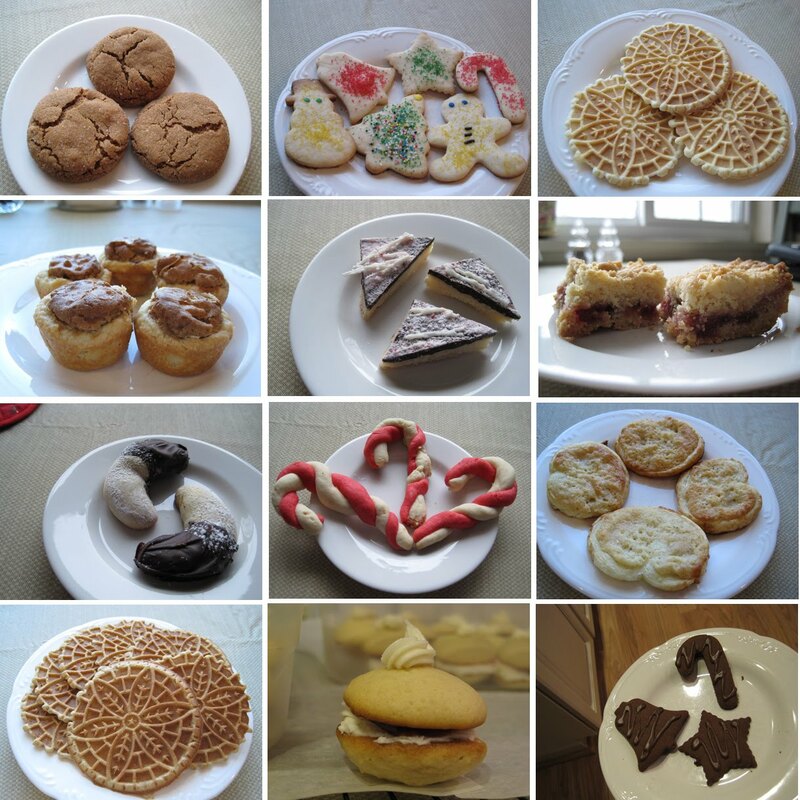 We are still trying to decide which cookies make the cut for this year's baking schedule. While we figure that out, I decided to re-visit last year's cookies. Some cookies appear on the cookie tray every year (Sugar Cut Out Cookies). Some are cookies I am pestered by family/friends to make (Chocolate Dipped Crescents and Candy Cane Cookies). Some are new favorites that will definitely appear again (Triple Ginger). Some were not all that yummy and won't show up again (White-Chocolate-Raspberry Whoopie Pies & Spicy Chocolate Shortbread). Plus, we always like to try 1 or 2 new kinds. Let the cookie baking begin! I'll take half a dozen of each!